That something was changing in the air (pardon-me the inevitable calembour) started to become apparent on Friday night when I had a look at the Economist editorial before going to bed. 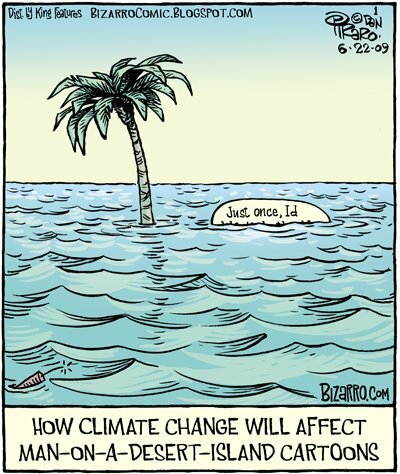 The opening article of the issue dedicated to the Cancun Climate Conference was saying that –as climate change is going to happen and no one really believes that we will succeed in keeping the temperature rise below 2 degrees- “we must live with the problem as best we can”. Then, in the past three days the media (and I believe consequently the governments) had buried the word mitigation (reducing carbon emissions) and have discovered ADAPTATION instead. They made it the new buzz word and used it to a great deal and extent. I have to say that this shift is indeed welcome, as adaptation measures are something that we urgently need NOW and that for too long has been left out of government’s climate talks and confined to side events. It is indeed something that –if well funded and directed- can do a great deal in reducing the risks of famines, unpredictable spikes in food prices and possibly at the same time supporting the agricultural sector. Here is a good podcast from the Guardian discussing what impact it is climate change already having in the developing world (and on agriculture, in particular). But if you prefer something slightly more scientific and evidence-based on the same topic, here is a very interesting study published by Bioversity International showing that adaptation measures by diversifing crops and rediscovering of local crops is already taking place in African farmers’s fields. For the series: do not put all your eggs in one baskets. (which is also my humble message to negotiators in Cancun on the perils of forgetting about mitigation measures).